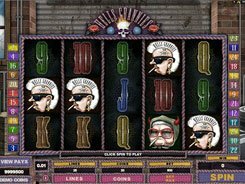 Rapid Reels is a funny 3-reel 5-payline slot themed around rowers who row a river of cash. 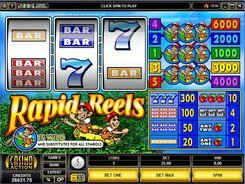 The slot has a set of classic symbols such as cherries, bars and sevens; these are complemented by a themed Rapid Reels logo depicting a pair of rowers. 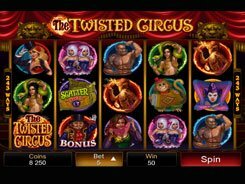 A coin size is adjusted from $0.25 to $5, with a single coin permitted per line, so the maximum bet amount is $25 per spin. 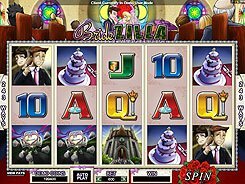 The slot features a wild symbol and a fixed jackpot of $30,000. The biggest payer in Rapid Reels is the slot’s logo. 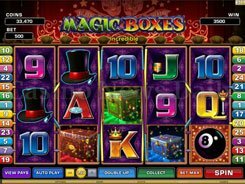 To scoop the top prize, you need to place the maximum five-coin bet and hit five logos on a diagonal line #5. 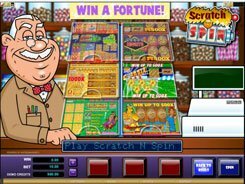 If that combination occurs on any other line, you still get a cash prize but a lower one: from 1000 to 4000 coins. Besides, the Rapid Reels logo serves as a wild symbol helping to create winning combos. 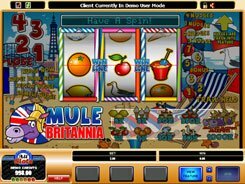 To sum up, the slot will be an appealing option for Vegas-style slot enthusiasts and beginners who would like to gain some practice.